Find a vacation home to rent in Lubusz from our list of vacation rental properties. Campaya has over 19 vacation homes available in Lubusz, which give you the possibility to locate a unique accommodation in Lubusz which completes your check-list in search for the perfect self catering vacation apartments in Lubusz or vacation villas in Lubusz. This solid holiday home is built with bricks and nestled on a large enclosed plot. The house is equipped with a modern bathroom. This spacious holiday home is cosily furnished and is located on a well-kept and fenced plot on the edge of the forest. The property is ideal for six people. This large and spacious holiday home is modern and comfortable. It is located on a well-maintained and pretty garden plot. A garden pond awaits you here. This holiday home is situated on an enclosed forest property and offers excellent comfort in a very homely ambience. The well-maintained, large garden has a campfire area. This holiday house is nestled on a shared, fenced plot. The cottage is equipped with practical furniture and offers enough space for 10 people. This modern, wooden holiday home is well equipped and is nestled on an enclosed property. The bright rooms are furnished with a lot of love. A luxury home on the shore of the lake. Living room with fireplace, 2 bedrooms. This modern and large holiday home is furnished with good taste and attention to detail. The rooms are equipped with tiled and parquet floors. Everything looks bright and friendly here. Enjoy a great holiday in this spacious cottage in the village Rybakowo. It is well maintained and practically furnished personally with great love by the owner. A wooden, eco-friendly house by the Goszcza lake. Living room, 2 bedrooms. 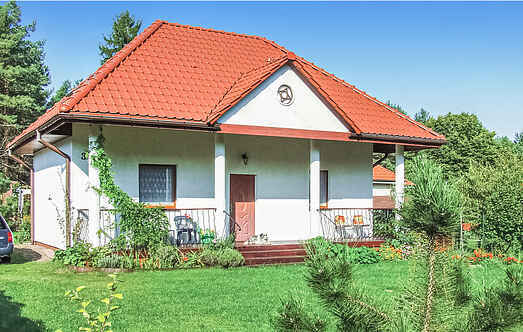 This former country house is situated on a large, shared plot, close to the German-Polish border. Go cycling and hiking on the beautiful trails. 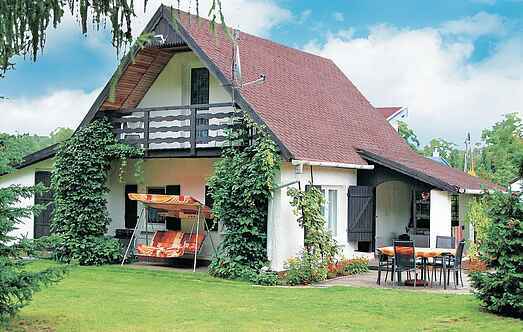 The cottage in Ośno Lubuskie is well suited for the holiday of a family. It has a practical and comfortable furnishings. In the garden, garden furniture are available. Lovely cottage in Santoczno. You can enjoy the quiet surroundings with many forests and lakes. The house is comfortably furnished.